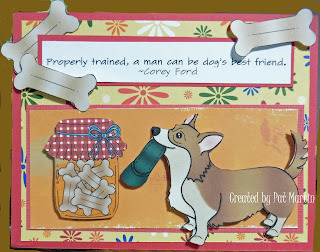 Pat Martin of Patacake Pages has been our Guest Designer for July and each week she has shared her FABULOUS work with us! Pat's emails have a quote by Frank Tibolt in her signature: "We should be taught not to wait for inspiration to start a thing. Action always generates inspiration. Inspiration seldom generates action". Pat's actions here certainly generates inspiration! This week Pat used Dad's Day Off and Goody Jars. I don't know why I never think of combining sets - see what I mean? Pat's actions are inspiring me! Adorable right? Why not take a few minutes and hop on over to Patacake Pages to let her know what a fabulous job she has done!!!! Thank you Pat - for another great source of inspiration!!!! Can't wait to see what you have to share with us next week. 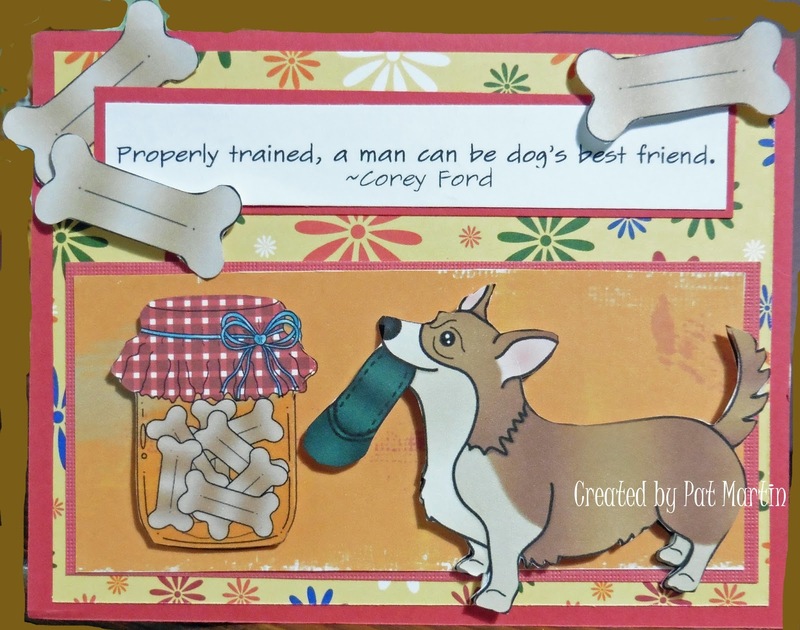 Pat did a fabulous job of combining two great sets and produced a real fun card. Thanks for sharing.